There’s good news on the way for Victorian motorists fed up with their commutes being interrupted by roadworks. 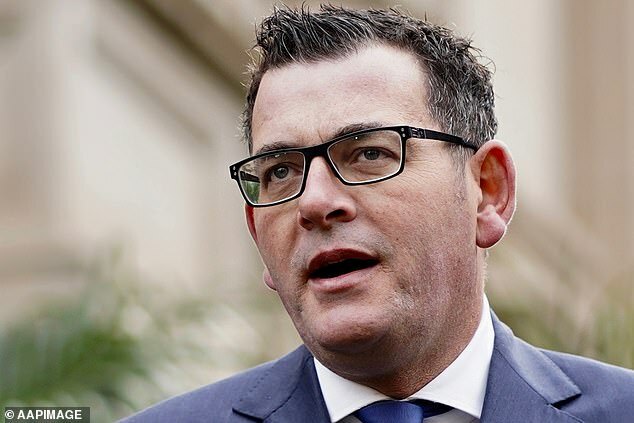 Victorian Premier Daniel Andrews has announced a tough new crackdown against roadwork operators. He said those who fail to adjust speed limits at construction sites when work is completed for the day will face hefty fines. It means that if operators adjust speed limits they will be forced to shell out if they forget to remove adjusted speed signs after work finishes. Re-elected for a second term a fortnight ago, Mr Andrews is already acting on his election night promise of delivering for all Victorians. It’s hoped the new laws will be implemented early next year. ‘I know how frustrating it is to slow right down for roadworks only to drive past an empty work site. So we’re making a new rule,’ Mr Andrews recently posted on his Facebook page. ‘When tools go down, speeds come back up – when it’s safe to do so. It’ll be safer for workers, too. No more chancing it because a site ‘looks quiet’. But the changes won’t happen overnight as the sitting of Victorian parliament doesn’t resume until next February. Mr Andrews thanked Victorians for their patience while his government improves the state’s infrastructure. ‘We’re upgrading road and rail across the state, so there will be disruption – I won’t pretend otherwise. But hopefully this will help a little bit,’ the Premier posted. The announcement was welcomed by Victorian motorists as the Premier’s Facebook post sparked more than 18,000 reactions and 3,300 comments. ‘Is a good Idea, and it has to be implemented. 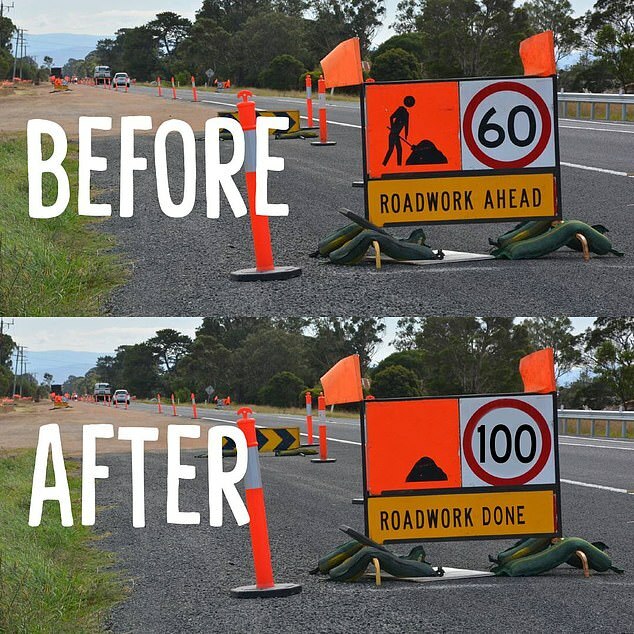 Nothing more frustrating than having to slow to 40km/h in a 110 zone for several kilometre stretches only to not see any person or construction activity,’ one person commented. Others had some advice for Mr Andrews. ‘Can you please also write into your roads contracts that any new roadwork also needs to be maintained by the same contractor for a period of say three years? Bet they’ll do a better job in the first place. I’m sick of seeing new sections of road developing potholes within months,’ one woman posted. The inaugural Urban Mobility Index released this week ranked the traffic congestion in Melbourne worse than New York and Rome. Out of 38 major cities around the world, Melbourne was ranked 25th, where motorists are delayed on average by more than 30 minutes for every 100km they travel. 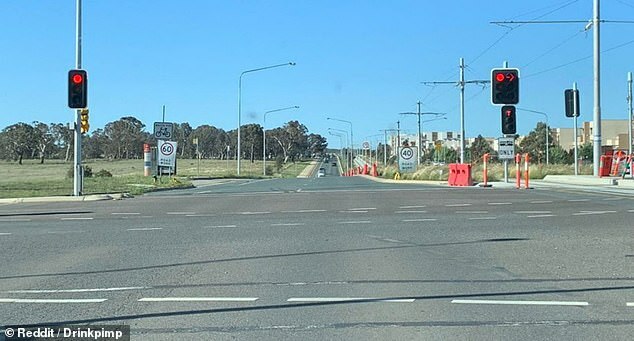 Social media went into meltdown earlier this week over a baffling Canberra roadside construction site which displayed three different speed limits of 40, 60 and 70 km/hr within a 100 metre stretch of Flemington Road. The start of light rail construction on Flemington Road was given as the reason the different speed limits.